Tupac Amaru Shakur, popularly known by the stage name 2pac and briefly as Makaveli was born in New York City in 1971. He was an American rapper, an actor as well as a social activist. 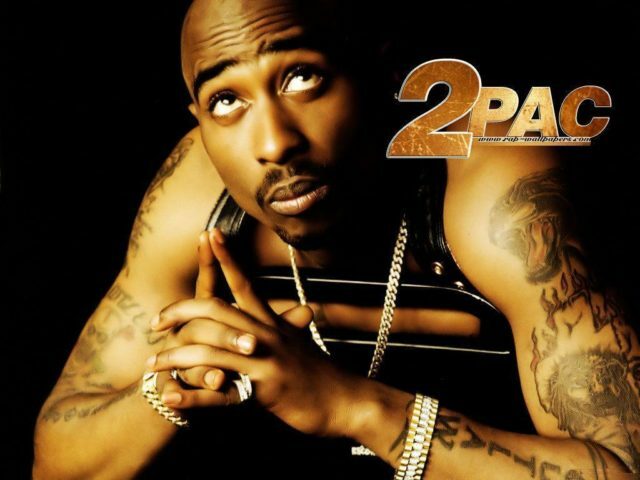 During his time, he was such a successful hip-hop legend with most of his lyrics filled with controversies, always talking about life in the ghetto and also using his lyrics to attack most of his gangsta enemies. He lived a violent life which led to him being shot and killed in Las Vegas Nevada in 1996. Despite the controversies surrounding his life and death, he will always be remembered for the inspirational and motivating quotes he used, most of them you will find in his lyrics. 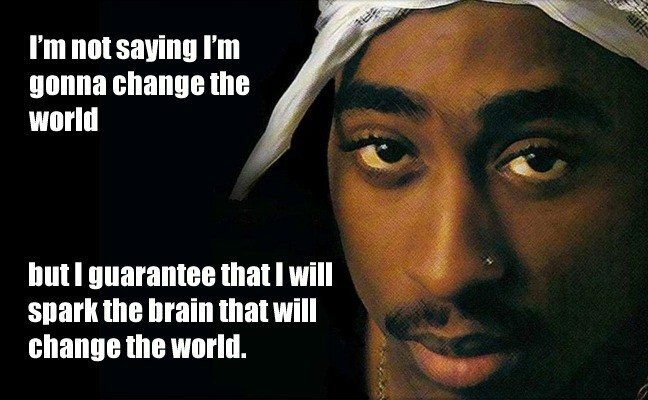 Here are some of the best Tupac quotes that might interest you. 21. Forgive but don’t forget, girl keep your head up. And when he tells you “you ain’t nothing”, don’t believe him. And if he can’t learn to love you, you should leave him. 103. The day you chose to leave me it rained constantly in truth I swore the rain to be the tears of cuspids eyes. 104. A woman brought you into this world, so you have no right to disrespect one. 105. I want to be better. You Grow. We all grow. We’re made to grow.You either evolve or you disappear. 106. All I see is racist faces, misplaced hate makes disgrace for races we under, I wonder what it takes to make this one better place. 107. You know it’s funny when it rains it pours. They got money for wars, but can’t feed the poor. 110. I wake up in the morning and ask myself; is life worth living should I blast myself? 113. During your life, never stop dreaming. No one can take away your dreams. 115. Though things change, the future’s still inside of me. 120. Why am I fighting to live, if I’m just living to fight. Why am I trying to see, when there ain’t nothing in sight. Why am I trying to give, when no one gives me a try. Why am I dying to live, if I’m just living to die? 121. Got me starin’ at the world through my rearview. 122. For every dark night, there’s a brighter day. 123. I’d rather die like a man than live like a coward. 125. My mama always used to tell me: ‘If you can’t find somethin’ to live for, you best find somethin’ to die for. 127. Instead of war on poverty, they got a war on drugs so the police can bother me. 134. From now on, it’s not going to be a strictly black thing with me. I apologised to Quincy Jones for the stuff I said about him and his wives. 135. You never know what’s going on in somebody’s mind. There’s a lot of pressure on someone growing up. You have to watch it. 136. You just can’t be calling us fakers and pretenders and non-creative and say we can’t freestyle. 137. You can’t disrespect the love. You can’t disrespect the peace treaty. 138. I don’t have to talk about whether or not I got raped in jail. 139. I do not suggest that children buy this album. There’s a lot of cursing. There’s a lot of raw game that needs to be discussed in a family moment before you let them listen. 140. I can make my way in this business besides rapping. 141. I don’t have no fear of death. My only fear is coming back reincarnated. 142. The first two days in prison, I had to go through what life is like when you’ve been smoking weed for as long as I have and then you stop. I didn’t know myself. 143. The only time I have problems is when I sleep. 144. Sometimes when I’m drunk I think to myself, Should I just stop trying and give up? They’re waiting for me to give up. So this is just a fun little game that I cry at some time. 145. The Bay is the type of place where if you ain’t there, they’re gonna talk about you. 146. The addict in Tupac is dead. The excuse maker in Tupac is dead. The vengeful Tupac is dead. God let me live for me to do something extremely extraordinary. 147. Everybody raps. We rap to make money. We do business. Ain’t no other record company out there that sold as many records as we did. 148. Every female wanna come up to me and show me how much they’re not attracted to me… these minority women… they’re the only women I can get cause everyone else is scared of me. 149. Whether I show up for work or not, the evil forces are going to be at me. They’re going to come 100 percent. 150. When you do rap albums, you got to train yourself. You got to constantly be in character. 151. When I dis y’all, it’s not because I’m ungrateful, it’s because I’m nervous. I’m paranoid, I just got out of jail. I’ve been shot, cheated, lied and framed. 153. I’m not saying I’m gonna rule the world, or that I’m gonna change the world, but I guarantee that I will spark the brain that will change the world. 155. Many dreams are what we had and plenty wishes. 156. America wants its respect. 157. All the stuff I say in my rhymes I say because of how I grew up. So instead of going to a psychiatrist, I got a kids’ group that deals with the problems a younger generation is going through. 158. Death Row East is gonna be a personification of what we did on the West Side. We gonna prove once that all these people talking ’bout an East Coast-West Coast war. 159. Don’t change on me. Don’t extort me unless you intend to do it forever. 160. Dre was one of my heroes in the music industry. If he’s not down for his homeboys, I don’t wanna be a part of him or around him. 161. What I learned in jail is that I can’t change. I can’t live a different lifestyle-this is it? This is the life that they gave and this is the life that I made. 162. We already run these streets out here. We got the ways to make them use their talents to the maximum effect. And that’s what it’s about. 163. We are together as black men-they over there, we over here. If we really gonna live in peace, we all can’t be in the same room. 164. Thug Life to me is dead. 165. Puffy wrote me while I was in jail. I wrote him back that I got no problems with him. I don’t want it to be fighting, I just wanna make my money. 166. People on the East coast are really proud and real cultural and real strong like we are on the west coast. 167. Nobody ever came to save me. They just watch what happen to you. 168. My music will mean something. I’ll have my own production company. I’m doing my own movies. I have my own restaurant. I just wanna expand. 169. If anybody finds Janet, tell her I’m looking for her. She ain’t my enemy. I want her to know that. She met me at a time in my life when I was really immature. 172. No matter what these people say about me, my music does not glorify any image, my music is spiritual if you listen to it. It’s all about emotion, it’s all about life. 173. Watch people, because you can fake for a long time, but one day you’re gonna show yourself to be a phoney. 174. Measure a man by his actions fully, from the beginning to the end. 177. If we really are saying that rap is an art form, then we got to be more responsible for our lyrics. If you see everybody dying because of what you are saying, it doesn’t matter that you didn’t make them die it just matters that you didn’t save them. 179. “When will there be peace on earth?